A Shropshire hospital has won a regional award for a project looking at genetics to help improve the knowledge and treatment of rare diseases. The Robert Jones and Agnes Hunt Orthopaedic Hospital took the Meridian Award at the Meridian Celebration of Innovation run by the West Midlands Academic Health Science Network (WMAHSN). 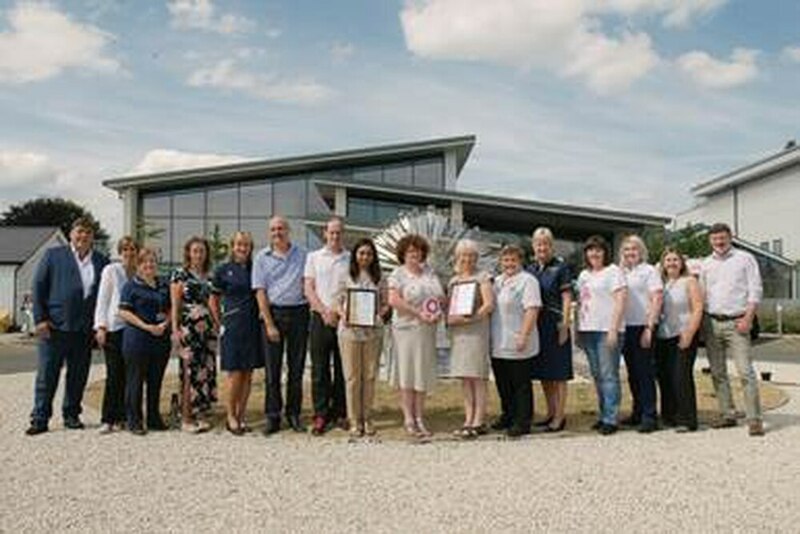 The Neuromuscular team, Biobank of the Study of Health and Disease, and Sarcoma team at the Oswestry-based hospital were also placed highly commended in the advanced diagnostics, genomics and precision medicine award. Launched in 2016 the Innovation Awards recognise and celebrate the work of individuals and organisations who develop better healthcare and increase wealth for local people. Members of the neuromuscular and sarcoma teams have embedded the 100,000 Genomes Project into clinics to improve patient care with the support from the Biobank. The 100,000 Genomes Project is a Government-funded programme which uses genetics to help improve the knowledge and treatment of rare diseases. Regionally, the project is led by the West Midlands Medicine Centre and involves samples of DNA taken from consenting patients, which are then sequenced to look for genes related to diseases such as muscular dystrophy, a group of diseases that cause weakness and degeneration of the muscles, and rare forms of cancer including sarcomas. After achieving highly commended in its category, the hospital won the special Meridian Award in recognition of the determination to recruit patients for the 100,000 Genomes Project. Dr Richa Kulshrestha, Neuromuscular Consultant, said: “The 100,000 Genomes Project has been fully integrated into our care for all patients we see that don’t have a diagnosis, with the aim of providing one. “We started to run monthly family clinics as part of our involvement in the project which involves family members giving samples so that hereditary factors are taken into account and we can potentially get answers for our patients. Mr Paul Cool, Consultant Orthopaedic and Oncological Surgeon, said: “Particularly in rare cancers like sarcoma, it’s important to have a better understanding of the genetic background of these tumours which is why we set up the Biobank of Health and Disease with funding from the Bone Cancer Research Trust. Jane Evans, Macmillan Specialist Nurse, said: “Every patient we have seen in the past 12 months that has been diagnosed with a sarcoma has had the opportunity to consent to joining the 100,000 Genomes Project. Pat Evans, Histopathology and Biobank Manager, said: “It’s great to have been recognised for the work we do here at RJAH across the West Midlands. “We set up the Biobank with support of the Royal National Orthopaedic Hospital which has ensured the success of our participation in the 100,000 Genomes Project. The Regional Ambassador for the project, Dr Christopher Clowes, said: “It’s a real achievement that RJAH are getting widespread recognition for their hard work.